Foraging for fallen nuts in autumn can be a fun hobby and provides an excellent learning opportunity for kids to connect with nature. Common nut trees in the urban landscape such as black walnuts, hickories, butternut and filbert (also called American hazelnut) not only provide shade and aesthetic beauty, but their mast also offers people a good source of nutritional value in the form of omega-3 fatty acids and vitamin E. Tree nuts also provide an excellent food habitat for many types of wildlife, especially those greedy gray squirrels that tend to gather and bury their haul for winter supplies. People who are interested in picking tree nuts to eat can follow a few general suggestions that may help extract a high quality harvest. Each autumn, the top priority is to gather fallen nuts as quick as possible before they start to rot or get picked up by critters. To get a good quality kernel from black walnuts, it's important to remove husks and cure their meats properly. However, removing the husk of a black walnut is no easy task. The stains from black walnut husks can create permanent marks on clothes and tools, so rubber or plastic waterproof gloves should be worn when handling them. The husk of black walnuts can be removed by using a hand-operated corn sheller or by soaking in a pail of water and then peeling the husks by hand or driving over them with a large vehicle. After removing husks, the nuts should be rinsed outside with a garden hose. 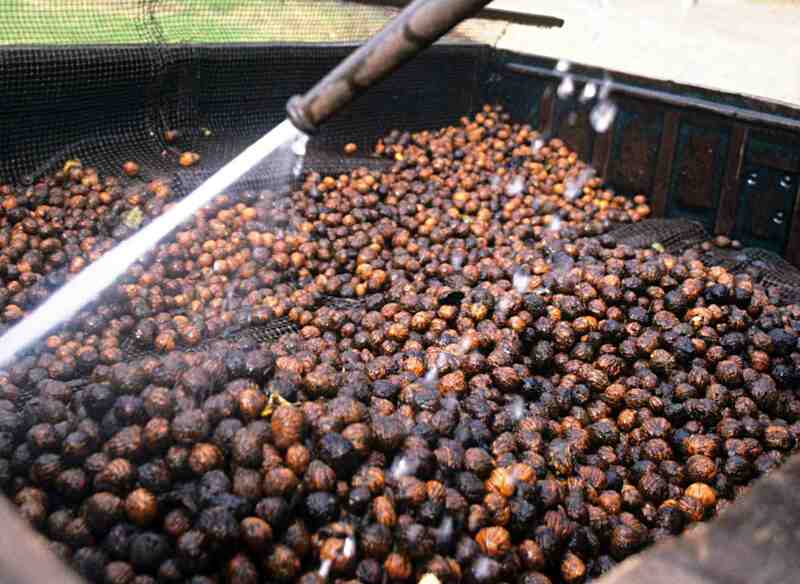 Subsequent soaking of black walnuts in a pail of water will reveal the quality of the kernel; good quality nuts typically sink to the bottom, whereas poor quality nuts float to the top and should be discarded. Removed husks and poor quality nuts should not be tossed into a compost bin, as they exude a toxic chemical called juglone, which can inhibit the growth of other garden plants. 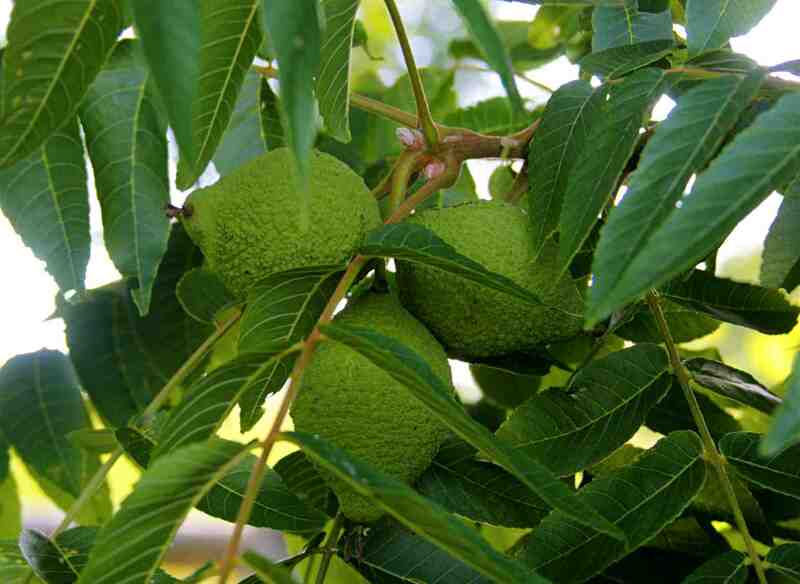 After the black walnuts are washed, they need to be cured to develop flavor and be readied for better storage. 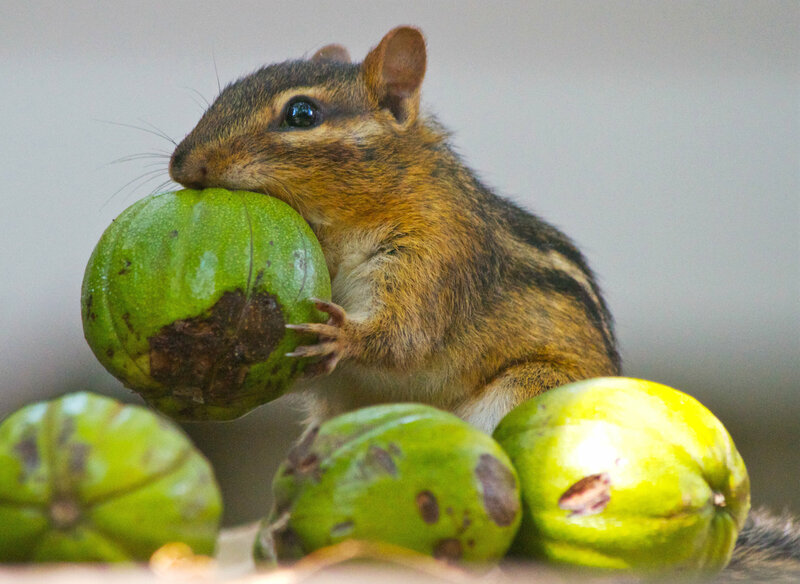 They can be stacked in shallow layers up to three nuts deep, or spread apart in a single layer if there are only a few. The nuts should be allowed to cure in a cool, dry ventilated area like a garage for two weeks, away from direct sunlight and not accessible by squirrels. A hammer can be used to crack open the nuts and extract the nutmeat, which can be stored in the freezer. Butternuts are processed in the same fashion. After the prompt harvest of hickory nuts, they should be allowed to dry in a shaded area for a few days. Unlike black walnuts, the husk of the hickory nut breaks open easily. To sort out the good quality kernels, the nuts should be soaked in a pail of water and the poor quality kernels that float to the top discarded. The kernels can be cracked open with a hammer, and the good quality shelled nutmeats should be stored in a cool, ventilated place. 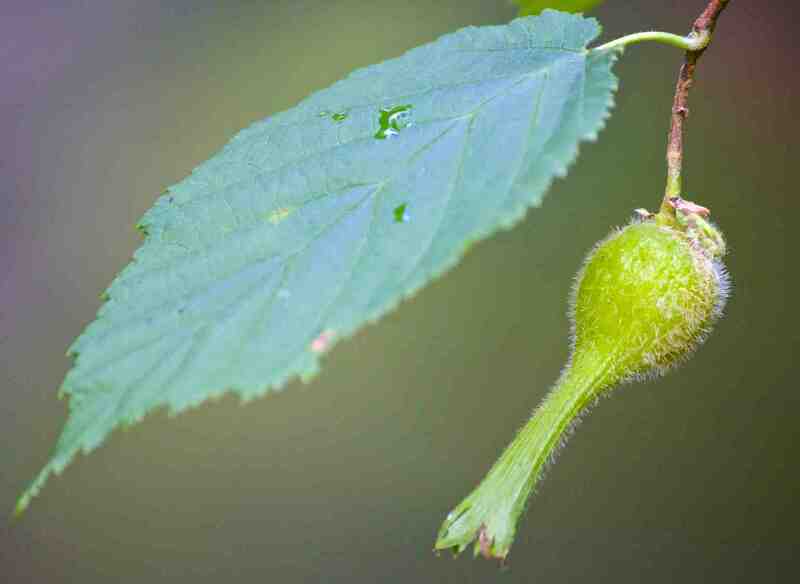 The nuts of filberts, also called American hazelnuts, generally drop freely without remaining attached to their husks. Mature filberts that are harvested from bushes before they drop naturally may need to be dried in a shaded area for a few days before they can be separated from their husks. The good quality kernels should be separated from the bad ones using the water sorting method, and then air dried for a few days before being stored in a cool dry place. Of course, tree nuts can be planted as well as eaten. 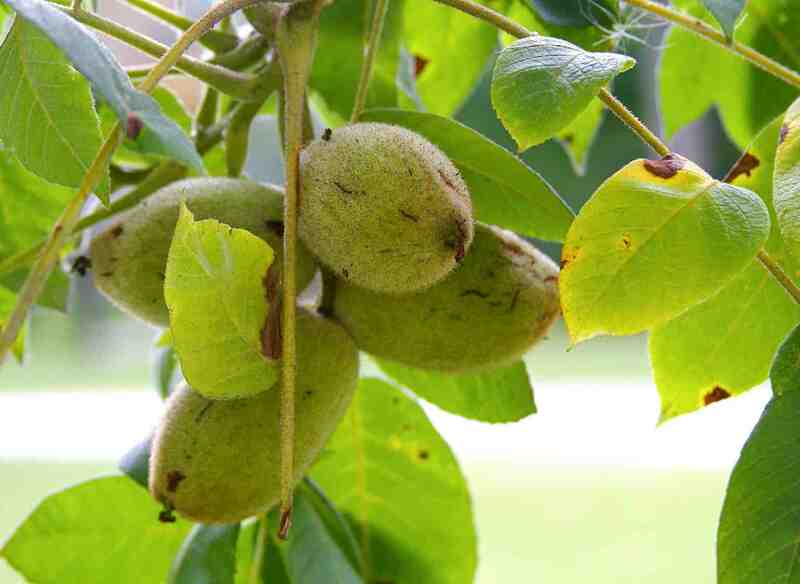 For seed propagation, tree nuts need a cold treatment process called stratification where the nuts are exposed to a chilling temperature range from 33 to 41 degrees Fahrenheit for a three- to four-month period. To accomplish this, in mid to late fall, after the husks are removed, the nuts should be spread out in a 1 to 2 feet deep pit and buried with sand, compost or fallen leaves. The pit should be covered with one quarter inch wire mesh or a screen to protect the nuts from rodents. The edges of the mesh should be buried to at least 6 inches into the ground. In early spring when the ground starts to thaw, the stratified nuts can be removed and planted 1 to 2 inches deep in a desired spot. 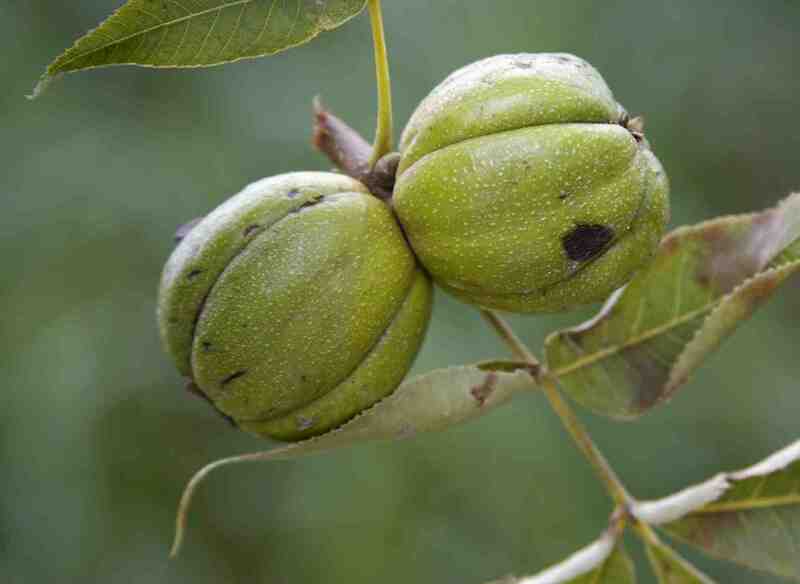 When growing black walnuts, typically half of the nuts planted will germinate in the first year, while the remaining should follow in subsequent years. The time required for germination varies from species to species. Vijai Pandian is a horticultural agent and educator for the University of Wisconsin-Extension Brown County. This article is adapted from an item originally published by the Green Bay Press Gazette which then appeared on WisContext which produced the article in a partnership between Wisconsin Public Radio, Wisconsin Public Television and Cooperative Extension. * Wisconsin Cheese Production Continues To Grow. * Wisconsin's Specialty Cheesemakers May Be Better Off Than Other States. * Tips For Growing Blueberries In Wisconsin. * Amid A Boom, Wisconsin Cranberry Growers Look To Future Markets. * The Top 10 Wisconsin Insect Trends Of 2016. * Wisconsin's Penokees Are A Geologic Gem. * Wisconsin Researchers Aim To Make Cows Happier. * Wisconsin And The Extinction Of The Passenger Pigeon. * The Life Of Land After Frac Sand. * Blueberry Maggot Fly Poised To Expand In Wisconsin. * Efforts To Boost Marten Numbers In Wisconsin Meet Ongoing Failure. * How To Raise A Pizza. * RECALL! Wisconsin Pork Sausage Patties. * Making The Most Of Wisconsin's Autumn Garden Harvest. * Who Is Stealing Wisconsin's Birch?